South America is experiencing unusually low temperatures, even for the winter season in the southern hemisphere. The result is snowfall -exceptional for this time of year - of up to 50cm. "The people here are resilient. They even wear sandals in winter," explains Jeanette Weller, Welthungerhilfe's Regional Director in Lima. "But they can't cope with temperatures like this." Experts forecast the next cold snap in August and it's expected to be worse. The most badly affected parts of the country are those regions of the Andes above 3,500 meters where three million people have their homes. Due to the heavy snowfall, some villages are only accessible by air, impeding the distribution of supplies. As a result Peru has declared a state of emergency for half of its regions. Reliable numbers on the victims of the cold snap are not available since not everybody is registered in the isolated Andean regions of Peru. Data from public authorities and non-governmental organizations vary from 67 to 167 deaths. 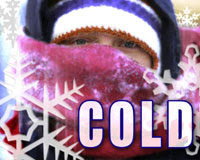 The country was already hampered by unusually low temperatures in January and February. 60% of its farming produce was devastated in the process. There is now a danger of crop shortfall.